Different bodies of water have different requirements. If there is no source of running water, such as a fountain or a waterfall, you may need to have an aerator to help keep water clean and flowing and avoid a build up of algae. If you do have a build up of algae or pond scum you may need to start using herbicides to eradicate unsightly plant growth before it becomes problematic. Or perhaps you need help finding appropriate flowers and plants for lakeside landscaping. Or maybe you want to stock up your pond with fish and aren’t sure what kind would be best. 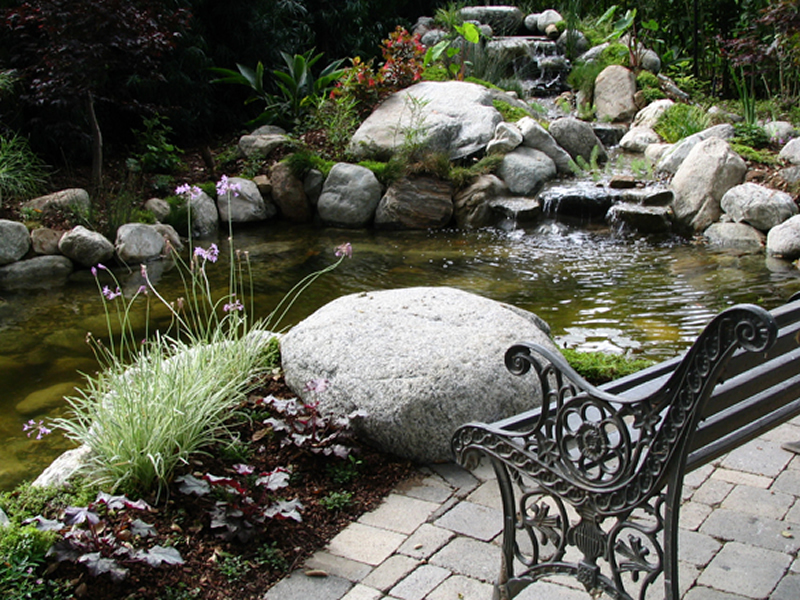 There are many different ways to manage water features in landscaping, but the most important thing to remember is that you can’t just let a body of water sit without being taken care of. Lakes and ponds need to be properly maintained.